A new deck can bring you and your family years of enjoyment, not to mention the added value and beauty to your home! Like every other remodeling project, it’s a good idea to start out with a plan in mind. The first thing you’ll need to think about is what type of deck will be the biggest asset to your home? We are here to help you answer this question! If you’d like to step out of your front door onto a deck that winds its way around to your back door then this may be exactly what you’re looking for. This type of deck is best for rural homes or those on a large plot of land. Wrap around decks let you follow the sun or shade—which ever you like best—throughout the whole day. If you’re looking for a place where you can show off your grilling skills without feeling trapped in the kitchen then this is what you’re looking for. These decks have become increasingly popular as outdoor grilling has grown in popularity. 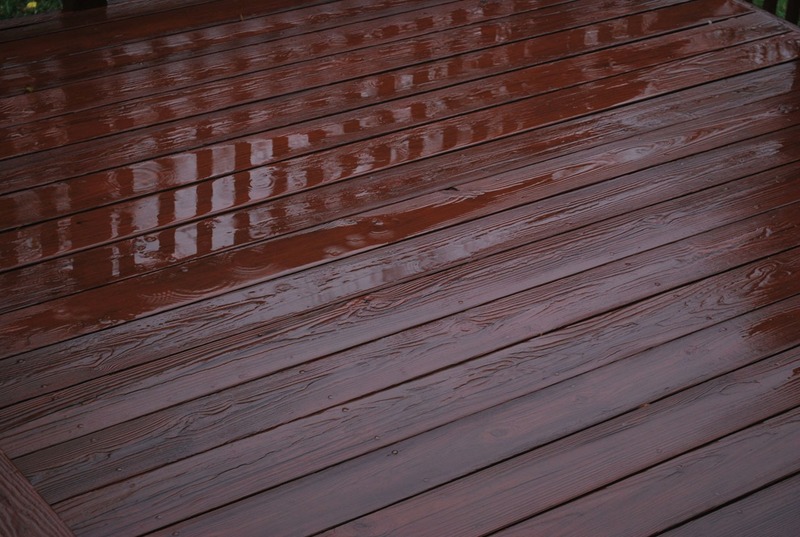 Real wood or a wood-like composite decking material is your best choice for this type of deck. It keeps the rustic, outdoorsy tone that goes along with the “man-grill”. If you have a pool or plan to have one in the future you’ll want to build a deck around it to take advantage of the “pool” atmosphere. Pool decks should be easy on your bare feet so choose anything with a smooth, satiny surface. Some decking manufacturers make a composite material specially made to be easy on the feet. If slipping is a worry consider exposed concrete. 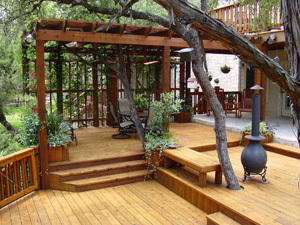 These decks are great for parties and, if built right, can double as a carport. It’s a great place to have a hot tub if you’re into views and convenience. It can also make a wonderful retreat if you build it off the master bedroom, just make sure it’s built strong enough! These are probably the easiest to build as you don’t have to worry about removing siding (or stucco). They’ll need to be structurally supported on all sides, so it’s best to plan these decks carefully. They can be put anywhere on your property, but it’s a important to remember that they should still be easily accessible. Built with a series of decks on different levels, multi-level decks are the answer to a large property or one that has changes in elevation due to hills, slopes, rocks etc. These decks are often connected by steps or pathways—a great time to let the landscaping designer in you have free reign. Side yards are an often forgotten asset. Why not turn that difficult area into something usable? A private deck coming off the dining room, kitchen, bedroom etc. onto the side yard is a great way to use this space efficiently. Try combining any of the above ideas, perhaps extend a second-story deck to surround your above ground pool! Decks are an outlet for your creativity. Don’t stop at these 7 ideas.